Would you like to develop more reliable software that delivers on all its requirements? Want to learn how to improve your testing so that no more bugs slip through? Maybe you’re eager to hear tips and tricks from some of the top minds in testing? Join us at the the London Tester Gathering Workshops on October 16-17th! This year's London Tester Gathering will welcome Tony Bruce, Peter Houghton, Carlos Ble, Jenny Mulholland, Stephen Janaway, John Stevenson, Richard Bradshaw, Nigel Stock and Rob Fahey. 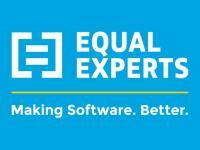 Their insights and practical sessions will help you design software that’s on time, on budget, and satisfies your clients’ needs - you’ll soon be seeing the benefit after advancing your skills at this in-depth event. These are advantages you can’t get in the manual! On top of all of this, you’ll be able to enjoy learning new things with a hundred other testers, so you can share ideas, hear their perspectives, and find new solutions to your problems; you could even discover new potential business partners! Sounds exciting? Then get your ticket today! If you would like to come along with your team, give us a call on 0207 183 9040 and we'll be able to give you group discounts. In this session we will look at Exploratory Testing and work through some ideas which could prove useful to you. We will look at what it means and how to explain it. We will look at different ways of keeping your notes, augmenting your testing with various tools and getting the most out of your time spent. We will do this through discussion and practical exercises, essentially, we will be Exploratory Testing, perhaps not as you know it. Tony Bruce is a professional, experienced, constantly learning, coaching and teaching agile team member who specialises in Testing. He has worked in various industries with organisations such as Channel 4, Ernst & Young, LMAX and The Children’s Society. He is an active member of the Testing community; he hosts the London Tester Gathering and speaks at conferences all over the world. He keeps a blog at http://dancedwiththesoftware.blogspot.co.uk and tweets on @tonybruce77. More and more Security Testing is becoming part of the tester’s role and so we need to equip ourselves with the knowledge and tools to take on this challenge. A good tool for beginners and experienced security testers is the OWASP ZAP tool (voted best security tool 2013 by toolswatch.org) so in this session we will be using the OWASP ZAP tool to conduct a security test against a deliberately vulnerable web application through a series of guided exercises that will take you from knowing little or nothing about ZAP or security testing and give you a grounding in using ZAP for Security Testing that is beyond the majority of other ZAP users. By the end of the session you will be able to take what you have learnt and apply it directly to your own projects and most likely get a reputation for being a scary tester. Bill has been a freelance test consultant for 15 years working mainly on large migration and integration projects as a Test Architect, Manager and Technical Tester. He spends much of his time focusing on the more technical elements of system and operational testing such as integration, performance and security. He is a regular speaker at testing conferences mainly on technical topics such as web and mobile application security and teaches courses on both Web and Mobile Application Security. Carlos started using computers at 6, when his father bought a PC with the Intel 8086 and some books on the Basic programming language. Since then, he has been learning how machines can be used to build a better world. He started earning money by writing software back in 2000. In 2008 Carlos started using TDD for pretty much every piece of software he needed to write. In 2010 he published the first book on TDD in the Spanish language. In the last three years he has been training developers in several countries, and writing code with them. Apart from that, he has been investing his time and money in several web start-ups, always applying what he teaches to his own crafted software. Jenny Mulholland started her career as a developer in 2006, before discovering her true passion lay in software testing. As Test Lead at Softwire she is fortunate enough to be involved with a broad spectrum of testing from web to mobile, functional to non-functional, manual to automated. She is an advocate of Rapid Software Testing and enjoys collaborating with others to explore new development and testing techniques and make better software. We'll spend a majority of the session testing a mobile application across a variety of platforms, and reporting the results in real time to the rest of the group. All you need to bring along is an open mind and as many mobile devices as you can get your hands-on. Stephen Janaway has been involved with software testing for over 14 years, starting as a Test Engineer and has worked in various Test and Delivery Management roles for a variety of companies. Currently he's a Test Manager focusing on mobile and web testing, test automation and software delivery optimisation. Previously he's worked for three of the major mobile device manufacturers, as well as advising a number of mobile application developers on testing and delivery strategies. Stephen loves talking to others about software testing, test techniques and the mobile device and application world in general. You can contact him on Twitter (@stephenjanaway) or via his blog (www.stephenjanaway.co.uk). How often have you found yourself stuck for ideas or thinking "why am I running tests", whilst testing? Have you found yourself repeating the same type of test ideas again and again? Do you find it difficult to explain your reasoning to others or to be able challenge what someone is saying? If this is the case then this workshop is for you. This workshop will provide you with a set of tools that you can take back and implement straight away in your testing profession as well as learning skills for your everyday life, by using interactive creativity, critical thinking games, and easy to remember techniques. The focus is on freeing up your mind to allow creative ideas to flow and then re-evaluating those ideas using critical thinking approaches. These are the concepts that you will take back with you to use in your daily working environment. If that is not enough to convince you, then how does the idea of getting some freebies to take away with you help? You can read about these concepts in more detail on John's blog. John Stevenson has been involved with testing for over 20 years. Currently, he mentors and trains others in exploratory testing and SBTM. Want to find out how to use the Selenium Webdrive API? Then come along to Richard's workshop! The Selenium WebDriver API is a very powerful tool when it comes to browser automation. Its most common use is for check/test automation, but it has a lot more to offer a tester then this. He will then explore what you can do with this knowledge and create some tools that can be used throughout your testing approaches. Attendees will be encouraged to code along, but it isn’t required. I am a friendly tester with a passion for testing. I try to share my passion with the wider community via twitter, blogging, forums and more recently talking at conferences. I am currently working as a Test Contractor specialising in browser automation using Selenium WebDriver and C#. Convincer Strategy or "What it takes to convince someone of something." Come along to this highly interactive workshop that will explore the: 'Convincer Strategy'. As testers, it's your job to convince somebody that there is a bug in a program (or not?) and most of the time it's unequivocal by using a variety of tools that produce consistent and undeniable evidence to support a claim that a bug either does or does not exist within a set of code. But sometimes it's not so clear cut. What then? How do you convince others of something? Together we will discover what it takes YOU to be convinced of something and then explore how other people also become convinced. Collaborating more effectively with colleagues. I - mproving interpersonal relationships: Partner/Significant other. At the end of the session you will be more informed about WHAT other people need in order to become convinced of something and more importantly, HOW you can quickly and easily recognise it so that you can present the information in ways that they are are more willing to accept. Nigel Stock is an Organisational Development Consultant and Performance Coach with over 25 years of experience working within the IT industry, helping organisations become more efficient through the continued development of their people. Getting your tests running in multiple threads. Supporting automatic download of the driver binaries. Looking at explicit waits and how they can improve reliability. A tester who has been tinkering with Selenium for over 7 years whilst working for various companies as a test consultant. I am the maintainer of the driver-binary-downloader-maven-plugin which enables mavenised selenium projects to download the external web driver binaries required to run tests. I am also a core contributor to the jmeter-maven-plugin, a tool that enables to run your JMeter tests as part of a maven project. If you want to be one of them this year, contact us on +44 207 183 9040 or take a look at the sponsor options available. 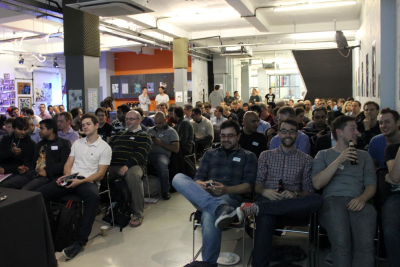 Hosted in the heart of London at CodeNode, the London Tester Gathering Workshops bring together some of the greatest minds in our industry, to learn, share and evolve the tool and techniques that matter to you! Would you like to develop more reliable software? Want to learn how to improve your testing? Maybe you’re eager to hear tips and tricks from some of the top minds in testing? Details to be firmed up but London Tester Gathering are looking at organising a Workshop and Un-conference consisting of a day of practical workshops and talks.